As summer ends and students return to the classroom, many college undergrads will be making decisions as to their major. I've been thinking of how tough the choices are when one is asked what will you do rather than what will you be. In my home state of North Carolina, education budgets are being slashed, and the legislators are questioning the value of any degree in the liberal arts. If it can't get you a job, why learn it? If you can't specifically do something with it, why waste taxpayer dollars on something as frivolous as engendering a student's curiosity and sharpening critical thinking? To do or not to do? That is Hamlet's new question. The universe of the university appears to be collapsing to prescribed dimensions of job-training. And to some degree, those degrees devalue or even usurp the broader, universal learning that has always steered us into the future. I haven't seen curiosity and critical thinking flourishing on standardized tests for standardized students for the standardized jobs of today. My dear student, the real story is what do you want to learn in order to become the person you want to become. "BECOME." The word means "to come to be." And so we are back to Hamlet, "To be or not to be" … an English major. Because what is more important than being able to understand each other's stories? Stories that are at the heart of literature, a field there to be mined by the English major. To study storytelling, in any language, is to study the core of what it means to be human. 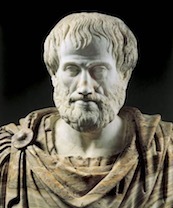 Aristotle got it right over 2400 years ago when in The Poetics he wrote that stories are how we learn because they mimic human behavior and stories are pleasurable to hear and tell. Other animals might have language – chimpanzees, dolphins, whales – but do they tell stories? Not that we know. Stories are part of our DNA, whether narrative paintings on cave walls or an e-book you might download after reading this blog. We are the storytellers of the world and to understand ourselves we must understand our stories. Why become an English major? Because the power of story is there for you to discover. A better understanding of humanity. What could be more important? What could be more important than for you to understand the story you are living? The story you will become. To be or not to be … an English major. Consider the question.